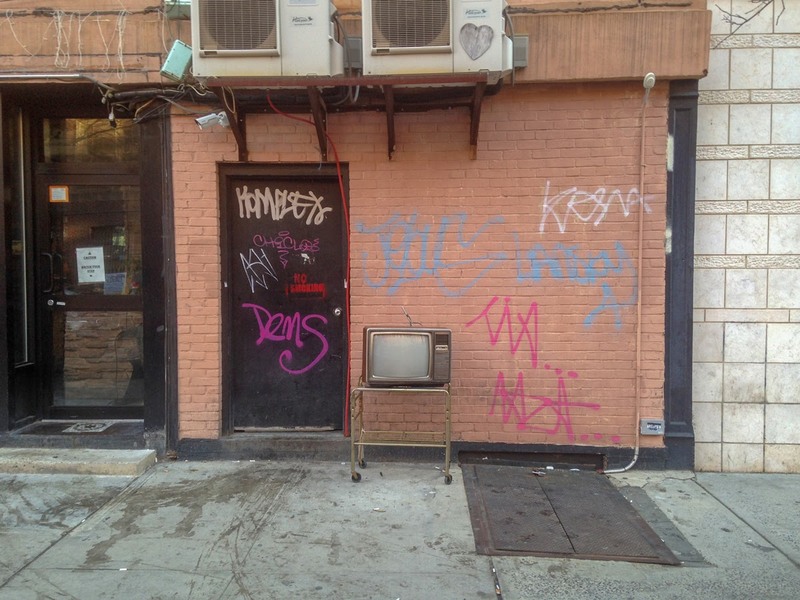 The strange thing about this abandoned television set on East 6th Street is not that it was abandoned, but that someone still used it before abandoning it. No doubt, some very old freegan will consider this a real find. I like how the teevee set is the transition from the vertical door on the left to the 'horizontal' door on the right - what a great catch! I almost wrote something about that, and then I thought – Nah! I wonder how that would look w/out the graffiti?